Tonight I was driving home late and it was raining. I have a rear wheel drive car but I don’t have a limited slip differential (or LSD). This is an annoying set of circumstances. As a layman, I only need to kind of know what an LSD is and how it works. In a car there is a point at which the axles meet together in conjunction with the drive shaft. The drive shaft comes directly from the transmission and is spinning. The differential then transfers the power to the axles and gets the wheels turning. Essentially, the inside tire is supposed to turn slower or at a different speed than the outside tire during a turn, hence “differential”. This action allows the vehicle to make a smooth turn. Now in a standard run-of-the-mill differential, if one tire does not have grip then all of the power is transferred to that one tire. This would seem to make sense at first, until you get into a slick situation from a stop. Like what happened to me a couple of years ago when I got stuck in the snow because one tire was on ice and one was on rough dirt. The ice tire breaks loose super quick and just keeps spinning while the tire that has traction just stays still. Took me several hours for me to get home. Another example is if you are at an intersection and your tires are in a puddle or on the white crosswalk line, you start to go and your tire slips on the thick white line of paint and your engine revs to the limit, but your car doesn’t go anywhere. This is where a Limited Slip Differential can help. An LSD serves the function of linking your two wheels together when one of them starts to slip. So in the snow both of my tires would have moved and I would have been capable of getting out and down the mountain faster. Or at the stop light my tire with grip would have compensated for my tire without grip and I would have gotten off of the line at the green light. That is all great in a straight line, from a stop or even when turning. For instance with a normal differential, if you are in a turn and your weight shifts to the outside of the turn you lose a lot of grip on the inside tire. But if you have power to both tires, then you can keep accelerating through the turn. This can help in rough conditions for sure and is just one reasons why an LSD can be a great handling feature, but there is more. There is another feature to the LSD that is definitely not necessarily good for safety. If you are in a turn and you happen to break BOTH of the tires loose, then the same thing will happen that happened to me on the snow or strip of paint. Your car will have no traction at all and you will slide or spin out. Of course, if you are trying to slide then you can call it drifting and it is super freaking fun. This is my problem driving home tonight. It is late. It is raining. There are lots of turns, but every time I try to take one with a bit of caution, my one tire starts to spin like crazy and the other tire just drags like a piece of dead meat. Then just make sure both wheels loose traction instead of only one. So let go of that caution! For the time being you are right I think. Mostly my caution is there to keep me from getting myself into too much trouble. When i take it somewhere where I call legally let go, I will. And there will be a video of me doing it. 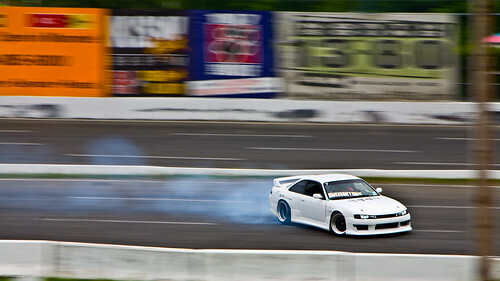 do u have to have an LSD in ur car to drift? ?